Want to meet one of the Green Fur Kidz at an adoption event? ... or maybe support our Green Fur Kidz by attending a fundraising event? 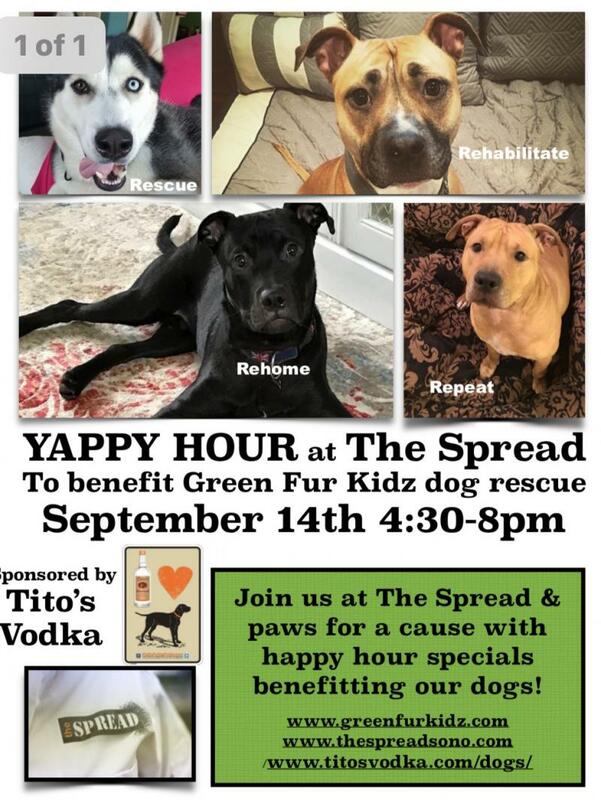 Come visit us for Happy Hour at The Spread in South Norwalk, CT on September 14th 4:30pm-7:30pm. Titos Vodka will be on site & there will be lots of fun, games, prizes & specials. Hope to see you there!